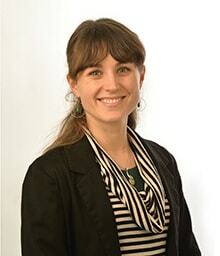 Síobhra is a student at the Centre for Irish Studies, National University of Ireland, Galway. She is co-editor of The Men Will Talk To Me: Ernie O'Malley's Interviews with the Northern Divisions (Merrion Press: 2018). 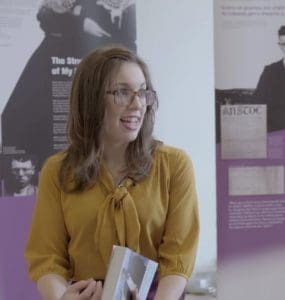 She put a presentation together recently on the poet Máirtín Ó Direáin (Cló IarChonnacht 2018). She spent a year in Springfield, Massachusetts on a Fulbright scholarship in 2013-2014, where she became interested in the history of the movement of the revival in the United States. She is currently preparing the biography of poet Pádraig Ó hÉigeartaigh for publication. Breanndán Ó Beaglaíoch is a renowned accordion player and singer from West Kerry. Breanndán is the youngest of a family of nine children, with a rich talent of music and song. Breanndán learnt the music and song of West Kerry when he was young. He plays at many festivals here in Ireland and abroad. Breanndán is involved in the organisation of Scoil Cheoil an Earraigh which is held in West Kerry every February. 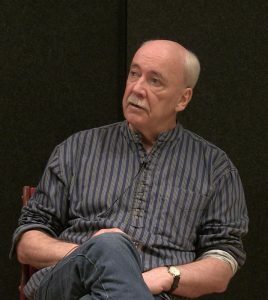 Language, landscape, tradition and community are included in Breanndán’s music. His music wouldn’t be in existence without the mountains, the seas and the storms from his native Corca Dhuibhne. Ó Beaglaíoch is widely known as a member of ‘Boys of the Lough’. He has three solo albums, as well as many recordings with ‘Boys of the Lough’ and ‘Beginish’. He is after touring America, and he has been on the programme Garrison Keilor on many occasions. He has recorded with The Chieftains, Stocktons Wing, Na Casadaigh, Seán Davey, etc. 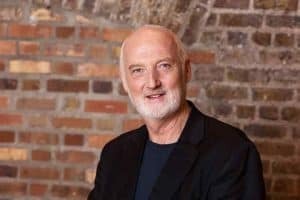 He worked with Philip King, Niamh Ní Bhaoill, and Nuala O’Connor on many television productions for TG4, among them Caipíní, Sé mo Laoch and Cérbh É and he can be seen on the latest film with Dónal Ó Céilleachair ‘Camino na Sáile’ which has won many awards at film festivals. Tim Dennehy was born in Ballinskelligs, and later the family moved to Cahersiveen. Tim’s mother and father sang and were inheritors of a huge store of songs and stories in the Irish language. Tim developed his love for singing from his mother Nora Ní Cheallaigh who was always singing around the house as she went about her daily chores. Tim spent a long period working in Dublin before moving to County Clare where he is part of a team of producers of traditional and folk music on Clare FM. He writes poetry and songs and travels the country and abroad attending and partaking in workshops and various festivals. He lives with his wife Máirín in Mullach, Co. Clare. Tim set up ‘An Góilín’ with his brother in law Donal de Barra in 1979-a club for traditional singers. Among the albums that Tim has released down through the years are; Between the Mountains and The Sea’, ‘The Blue Green Door’, ‘A Winter’s Tear-Traditional and Original Songs of Love, Loss and Longing’, ‘A Thimbleful of Song’, ‘Farewell To Milltown Malbay-Traditional and Original Songs of Love, Loss and Longing Volume 2’, and ‘Old boots and Flying Sandals’. 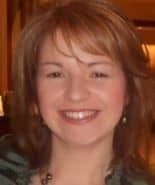 Piaras is a Lecturer in Geography and European Studies at the Department of Geography in University College Cork and was Director from 1997-2003 of the inter-disciplinary Irish Centre for Migration Studies focusing on Irish and comparative international migration research. He served in the Department of Foreign Affairs from 1976 to 1981 with postings in Brussels, Beirut and Paris. He also has an interest in Middle Eastern politics, geopolitics and the small state and historical constructions of 'white entitlement' and racism in late 19th and early 20th century Ireland. He has published widely on immigration into and emigration out of Ireland. Peter Mullarkey has lived in South Kerry since 2002. 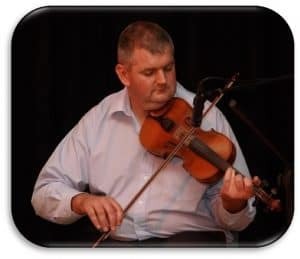 He teaches music in some of the local primary schools, the instruments he teaches include the tin whistle, flute, fiddle, accordion, concertina and a range of percussion instruments. The work also includes preparing the music for the sacraments of Communion and Confirmation and arranging Christmas concerts etc. He also gives private lessons primarily in the fiddle and coaches students for Leaving Certificate examinations and S.C.T examinations. He works closely with young adults with special needs under the ‘Kerry friends and parents association’ both teaching instruments and music therapy. This has led to a number of concerts and musical plays being performed for the public. He has given summer courses under An Roinn Oideachais agus Scileanna to primary school teachers exploring the relationship between music and maths and also examining the relationship with music and movement in children’s skipping, clapping and ball games etc. He has lectured on’ The history of recorded sound’ and ‘Shanties, the work songs of the sea’. Peter is a founder member of the traditional music group Ardú. They perform regularly in the area and further afield. He plays Solo on the fiddle or as part of a larger group. He has researched and has an extensive knowledge of the music of the area and is custodian of the Binneas Collection. In 2005 Peter founded the Binneas project under the auspices of Comhchoiste Ghaeltacht Uíbh Ráthaigh, The aim of the Binneas project is to collect the musical heritage of the South Kerry area, preserve it in an accessible archive and make it available to the general public. This project is ongoing, and to date numerous concerts and workshops have been held showcasing and teaching the song and music of the area. The Binneas collection contains over four hundred and fifty songs of the area in both English and Irish and more than two hundred tunes. In addition to this, the archive contains sound recordings, photographs, dance steps and music for local sets, stories and memorabilia. A lot of the material contained in the archive cannot be found anywhere else. Three publications have been and a CD have been released to date, ‘Songs of Iveragh volume 1’ containing forty songs from the collection, ‘Music of Iveragh volume 1’ which contains over one hundred and fifty tunes from the collection and a short synopsis on traditional music inspired by the life of Daniel O’Connell with accompanying notation. The 18 track CD features local singers and musicians performing material from the collection. A second book of song will be released late in the year. 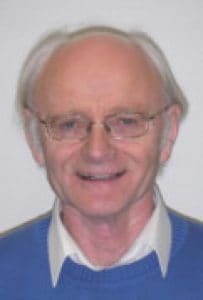 Ray O’Connor is a lecturer in the Department of Geography with research interests in rural geography, community development and historical geography. He co-ordinates and teaches on the MA in European Development Studies. He has a strong interest in the voluntary sector and is a founding member of the ISS21 Research Cluster on Civil Society. 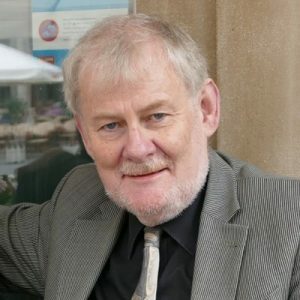 He is an associate member of the Centre for Co-operative Studies, UCC and co-edited The Origins, Ethos and Evolution of Co-operative Credit in Ireland with members of the Centre in 2011. He has links with many rural development bodies including South West Kerry Development Partnership, IRD Duhallow and South Tipperary Development Company. He is a member of the SYMBIOS Project, a European-wide network of academics and practitioners established to investigate social exclusion in rural areas. He is an Academic Director of the Certificate and Diploma in Genealogy run by the Centre for Adult and Continuing Education. Mícheál Ó Siochrú was born in Ballinskelligs in the Iveragh Gaeltacht. He now lives in Lios na gCroí, County Limerick. He is married to Joan-a Limerick woman. Joan has a great love for literature as well. It was Joan who introduced him to a wider range of modern poets. The oral tradition was very strong in Ballinskelligs and Mícheál really enjoyed Irish. A lot of his poetry is in Irish but in recent years he has written a lot in English. He has written short stories and a novel but he prefers to write poetry nowadays. Mícheál taught Irish, English and History for a number of years in Limerick. Redshank is the latest novel which Mícheál has published. Scáil an Scéil is his latest poetry book and he will be launching this at Éigse na Brídeoige 2019. Sorcha Pollak is a journalist and she is working with The Irish Times. She mainly writes about immigration. She really enjoyed writing stories when she was young but she had a great love for theatre and music and she was determined to pursue a career as an actress. Her parents were journalists, as were her paternal grandfather and her maternal great grandfather, so she wanted to try something different. When she was in her final year at Trinity College however, she had to accept the love of writing she had and she began writing a column for the college newspaper. She travelled for a while after her studies and at the end of 2013, she moved back to Dublin and she is working for The Irish Times since the beginning of 2014. In her free time, Sorcha sings in a choir, she plays violin with a string ensemble and she loves being out in the fresh air. She often goes hiking with her father.